"Art and Spirit in New Mexico"
Melissa Harris, internationally published artist, author (99 Keys to a Creative Life) is known for her loose, expressive style. She holds an MFA in Painting and a Fulbright Grant in painting. 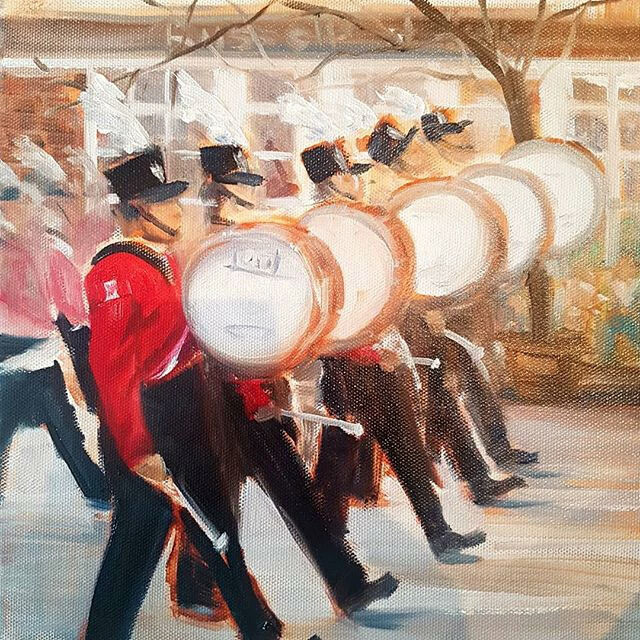 With over 30 years teaching experience, Melissa helps you to bring soul into your watercolors. She will help you build a solid foundation including color, composition and paint handling - or help you refine existing skills. Daily demos individual instruction. No previous experience necessary. 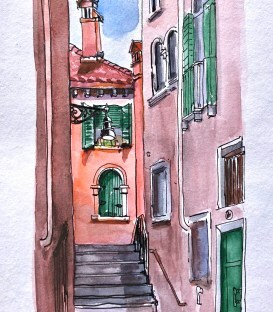 You may simply sketch in watercolor in your journal. Experience the beauty of Taos, New Mexico in its best season. 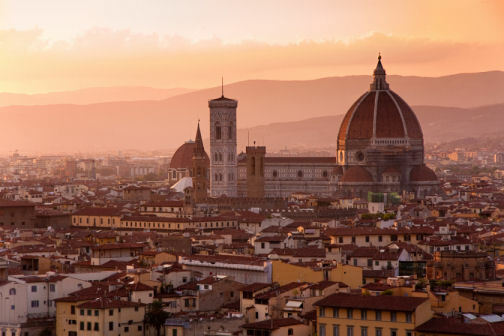 Meditate and paint plein air at sacred sites to connect with the spirit of the land and encourage your creative visions to emerge. The basis of this 5-day workshop will be sketching and painting on location around Santa Fe. Basic drawing and quick, intuitive watercolor will be taught, and will become the heart of our Santa Fe journals. (And yes, Jane CAN teach you to draw, even if you haven't drawn since third grade.) Using the city’s Mexican, Indian and Spanish influences, we’ll draw flowers, buildings, farmers market treasures, and in Santa Fe’s museums to imbue our special journal with a sense of place. We’ll also carve original stamps, and collage in our journals. Our handmade sketchbooks will be filled to the brim with color, images and memories of our week in historic Santa Fe. 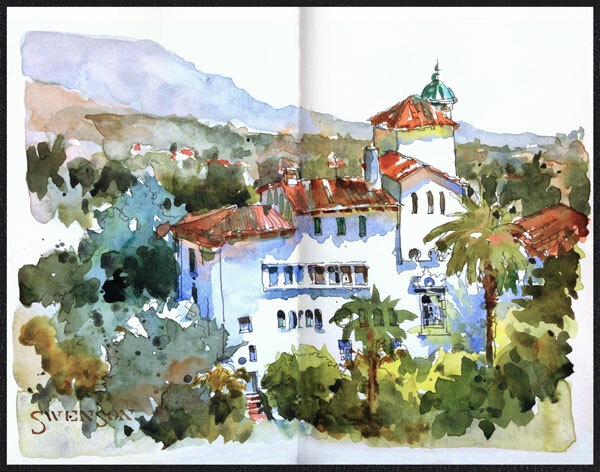 "Santa Barbara Travel Sketching Workshop"
Join us for 4 days of sketching with watercolor in beautiful Santa Barbara. We’ll enjoy the free-flowing and colorful nature of watercolor at its best while sketching and having fun! Brenda Swenson will help you develop observation skills, color awareness, simple design principles and learn about light and shadows. We’ll investigate various techniques, sketching tools, and approaches to watercolor. Enjoy time with fellow artists, instruction and friendly critiques. Space is very limited (max 12 participants). Brenda is the artist author of two books, Keeping a Watercolor Sketchbook (Award of Excellence Finalist) and Steps to Success in Watercolor. 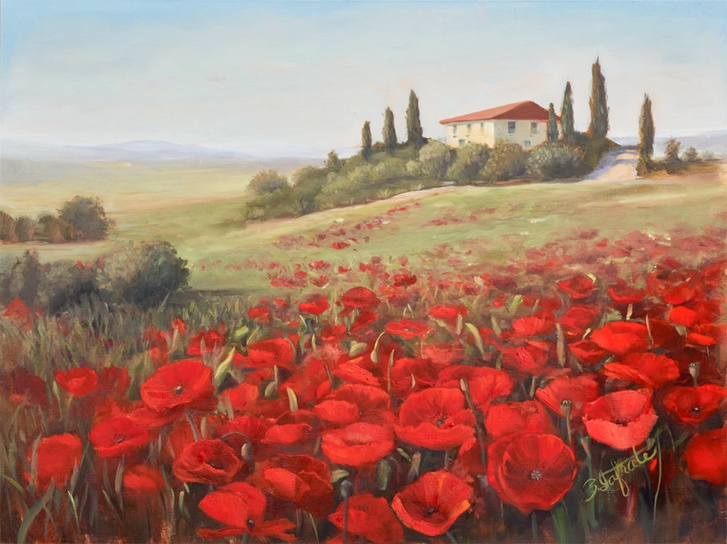 Her paintings and sketches have been featured in numerous books and magazines (Watercolor Artist, Watercolor Magazine, Watercolor Highlights, Plein Air Magazine). "Sketching Workshop in Santa Barbara"
Join us on this 5 day workshop in beautiful Santa Barbara. Our instructor Lapin is a French illustrator, artist, teacher, and urban sketcher living in Barcelona. He has taught many workshops all over the world and records every second of his life through sketching. From whimsical portraits of the people he meets to bustling urban sketches, Lapin’s style is unique and will inspire you to dive right into the magnificent scenery around you. Lapin has already filled around 190 sketchbooks over the last 15 years and has published 25 books!